Women in the performing arts make waves in this week’s Art Fix Friday. NPR reports that six out of the top ten box-office movies this year featured female protagonists—more than in the last three decades. However, only two films were directed by women. A new study also found that while women direct only 7% of the top-grossing films in Hollywood, they direct 29% of documentaries and 18% of domestic features screened at film festivals. 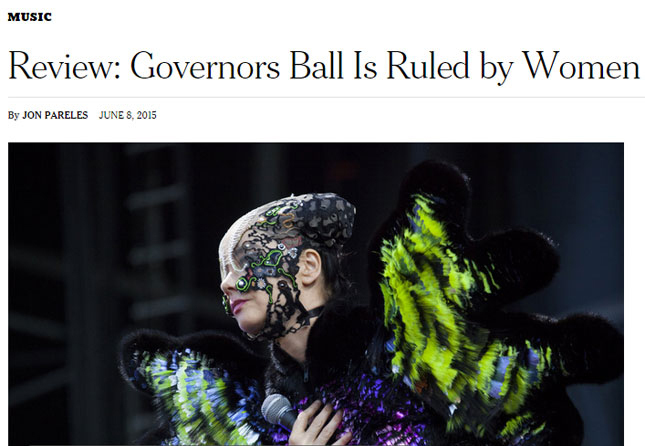 Although women were outnumbered in headliner spots at this year’s Governors Ball, The New York Times raves that women artists had the strongest and most ambitious performances. Women DJs are still few and far between at music festivals and representation isn’t increasing fast enough. At this year’s Tony Awards, women brought home trophies in every major category—including big wins for the musical adaptation of Alison Bechdel’s graphic-novel memoir, Fun Home. Artist and activist Atena Farghadani was sentenced to over 12 years in an Iranian prison for drawing leaders of parliament as animals. Famous for her polka-dot artworks and for her psychiatric clinic residence, Yayoi Kusama continues to be a favorite among wealthy art buyers, as well as the public. Last year, she was the most popular artist in terms of exhibition attendance, according to The Art Newspaper. J.K. Rowling’s new novel is already the biggest gainer in sales rank on Amazon.co.uk, shooting up its pre-sales charts only hours after the announcement. 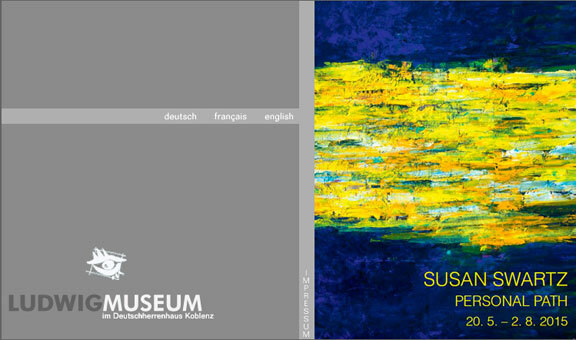 Painter Susan Swartz, whose work NMWA featured in an exhibition in 2011, is featured in a solo exhibition at the Ludwig Museum in Germany. Exhibitions in New York, London, and Mexico City focus on the life and art of Mexican painter Frida Kahlo. The Tate Britain has a retrospective of modern sculptor Barbara Hepworth. The Guardian examines key pieces from her 40-year oeuvre. After years of obscurity, the centenarian artist Carmen Herrera’s paintings are on view at the new Whitney Museum of American Art. Herrera was also included in last month’s New York Times feature on women artists who are finally getting their due.